Encryption and terms like "BYOK" have surged to the forefront of cloud service discussions. Both security and compliance stakeholders express great interest in encryption and its apparent promises. However, the expectations built upon encryption and control of encryption keys are often founded on assumptions that fail under scrutiny. 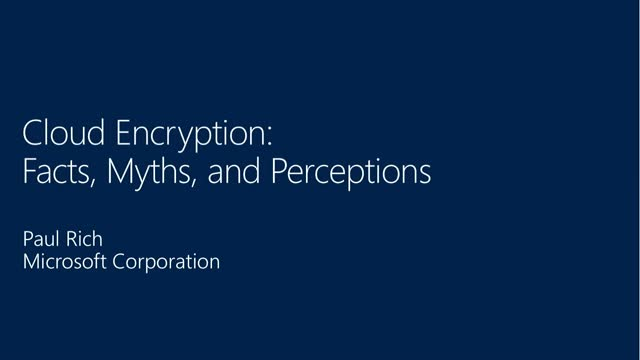 In this session we will examine the top myths of cloud encryption and look at factors that have contributed to the growing misperceptions. We will also examine regulatory and legal pressures that impact encryption in this this fascinating and evolving area of cloud services and data privacy.